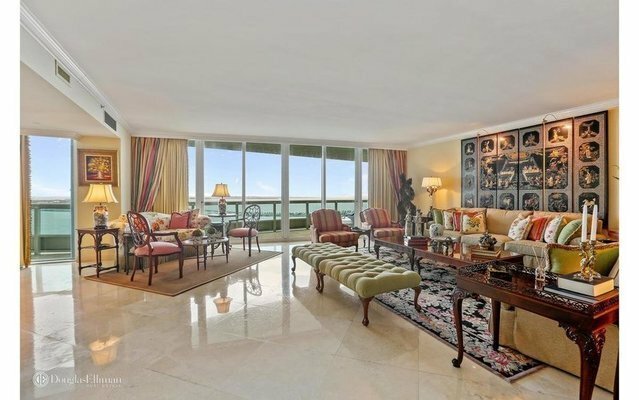 Drastically REDUCED!, come and see STUNNING 4,030 SQFT RESIDENCE IN PRESTIGIOUS SANTA MARIA BRICKELL. PRIVATE ELEVATOR/FOYER. BEAUTIFUL MARBLE FLOORS. 4BDRM/5BATH, MASTER BEDROOM WITH HUGE WALK-IN CLOSETS, HIS AND HER BATHROOMS. DINING AREA PLUS EAT-IN KITCHEN WITH TOP GRADE APPLIANCES, LAUNDRY ROOM AND MAID'S QUARTERS WITH BATHROOM.DOUBLE TERRACE. MAGNIFICENT VIEWS OF BISCAYNE BAY, THE ATLANTIC OCEAN & MIAMI SKYLINE!.